While prowling social media this morning I came across an interview on the Mountain Rose blog with herbalist Kiva Rose. The last question in the interview is "Is there one herb that you feel especially connected to, and if so, in what way?" Kiva choose the Wild Rose, Rosa woodsii, which is a sister to the woodland rose Rosa californica. I've seen Rosa woodsii at the Theodore Payne Foundation, it looks almost identical to Rosa californica. Thus my SOTD, scent of the day, will be Rosa. 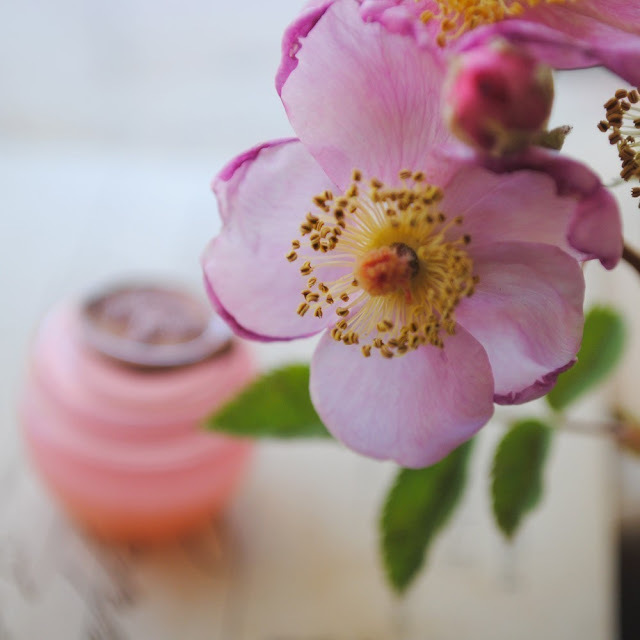 "While there are a number plants I feel closely allied to as medicine, the closest is our native Wild Rose, Rosa woodsii. It’s a native plant common to much of the American West, and I love its rambling, brambly ways just as much as I adore its sweet scent, sour hips, and incredible medicine. 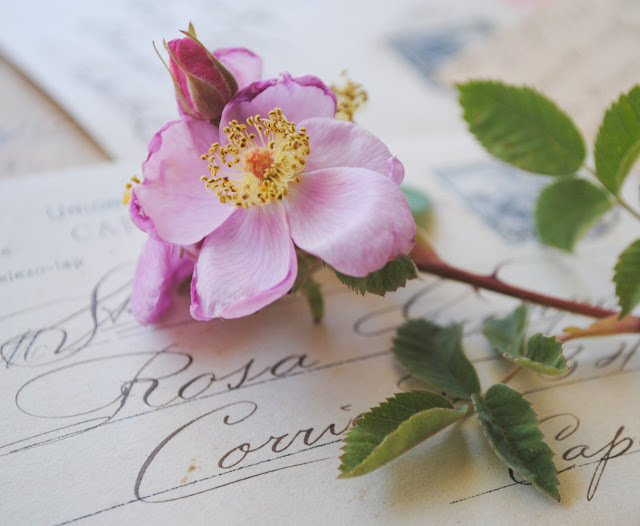 Perhaps because of its beauty, the Rose’s healing properties are popular yet often underrated in modern herbalism, but I find it to be a profound nervine, anti-inflammatory, anti-infective, and tissue healer, in addition to its other traits. I certainly wouldn’t want to be without it! I also value the Rose for its thorns, the lessons of boundaries and self-protection inherent in such wickedly curved weapons. The Wild Rose is generous but with clear boundaries, abundant but wild, sweet but multi-faceted. I am forever finding new lessons to be learned from this plant and feel connected to it through both shared traits as well as the ways in which we’ve worked together to provide healing in so many people."